Unfamiliar Skies is not a ‘theme’ album or a concept album, though almost all of the songs flow from one into the next. A few themes do crop up, such as those of air and water (as the artwork suggests), the long and winding road, the obsession of a lover scorned and questions of faith and individuality. Musically, we did want to capture something of the art rock vibe of XTC, early Alan Parsons Project, Frank Zappa, Bent Knee, 10cc, Cardiacs, Tears for Fears, Black Sabbath, and so on … while the work doesn’t particularly sound like any of those, great care was taken to follow the lessons we learned from studying these great artists. No moment was wasted on the final recording, and we worked hard to trim the fat to make something that hopefully engages the listener from stem to stern. A tale of seedy characters in the backdrop of a small-town convenience store. As read by the Blind Blue Barber Boys of Baltimore. An epic, four movement suite blurring the lines of jazz, rock, progressive, ambient and punk rock. Themes of individuality in the face of the machine that is modernity. How do we keep true to ourselves? Sometimes obsession boils to the brim. A Poe-ish tale of being haunted by the image of a former lover. The one in which we battle the giant squid. Suburban heartbreak, and dreams of the stormy skies ahead. On the road, and with a passenger. What do the rocks have to say? Questioning the ‘lines the blur the vision of God.’ Do we really have any of the answers? 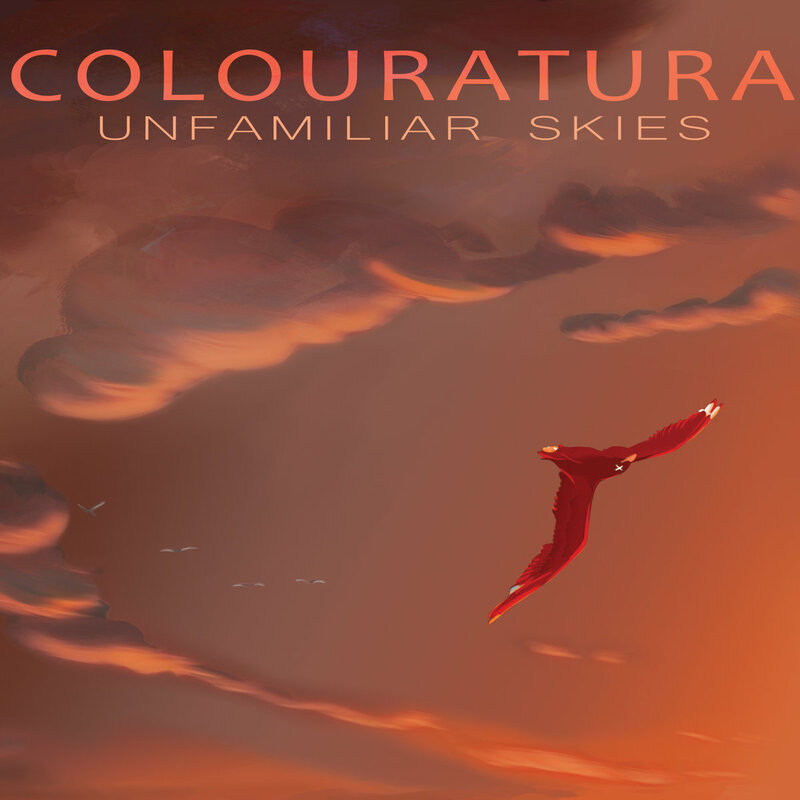 Colouratura traverse an emotional journey on Unfamiliar Skies, charting the far reaches of rock, jazz, psychedelia, krautrock, folk, metal and electronic. 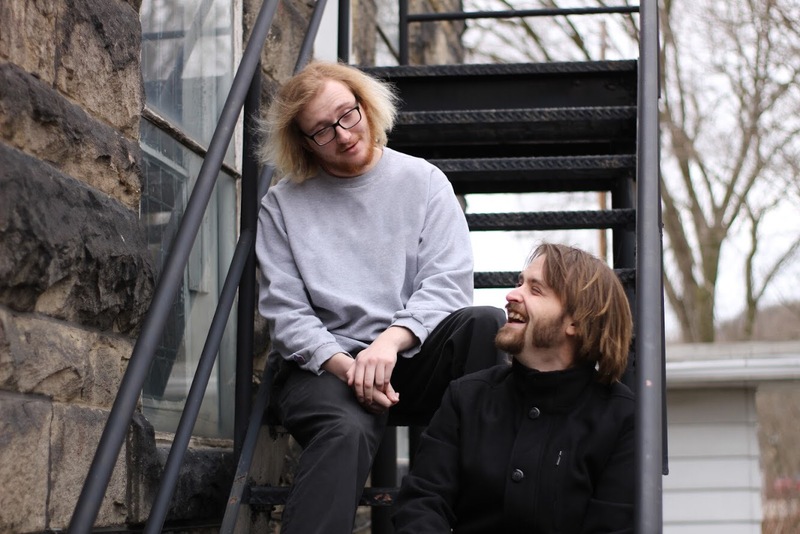 “We also wanted to highlight Nathan’s (James) skills as a composer, since so much of the previous effort was constructed via focused improvisation. Unfamiliar Skies is very deliberate, very calculated and very fully realized album,” Beabout said. Utilizing local talent, Colouratura have crafted a powerful and modern art rock statement. From the opening, multi-movement prog rock pastiche ‘Parallels’, Colouratura combine Zappa-esque guitar licks with horn-rock statements on a journey through territories of punk, ambient, and jazz, backed by Dave Newhouse’s gorgeous woodwind arrangements. On ‘Vesuvian Tidepools’, Colouratura craft a trippy, CAN-influenced soundscape around Eric Holskey’s drum loops, backed by Bret Harold Hart’s synesthesiac guitar. On the title track, James’ dreary and haunting lines are backed by expressive flute and ocarina. On ‘Kerouac’ James teams up with songwriter Chris Kuskey for a headtrip funk jam about traveling ‘on the road,’ while ‘Nautilus’ finds Colouratura in deeply groovy Black Sabbath meets King Crimson territory with dizzying time changes and ripping lead guitar from Derek Pavlic.